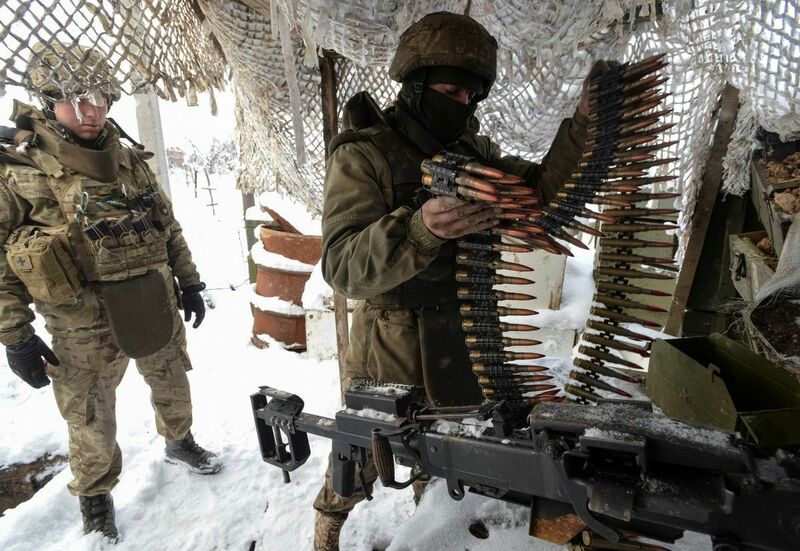 Russia's hybrid military forces attacked Ukrainian army positions in Donbas 24 times in the past 24 hours, with four Ukrainian soldiers reported as wounded in action (WIA), according to the press center of the Anti-Terrorist Operation (ATO) Headquarters. In the Luhansk sector, Russian occupation forces in the evening hours repeatedly fired 120mm and 82mm mortars and grenade launchers outside the villages of Luhanske, Troyitske, Novo-Oleksandrivka and Triokhizbenka. The enemy also opened fire from infantry fighting vehicles near the town of Svitlodarsk. Read alsoRussia could go on large-scale offensive against Ukraine at any moment – Turchynov at NATO HQIn the Donetsk sector, the occupiers concentrated their activity near the town of Maryinka. Here, in the first half of the day, the aggressor repeatedly used mortars of various calibers and the entire range of infantry weapons. In the evening, the Ukrainian fortified positions came under fire from a tank. The situation was also tense near the villages of Pisky, Verkhniotoretske, Vodiane, Lebedynske and Talakivka, where the invaders fired from grenade launchers of various types and light infantry weapons.